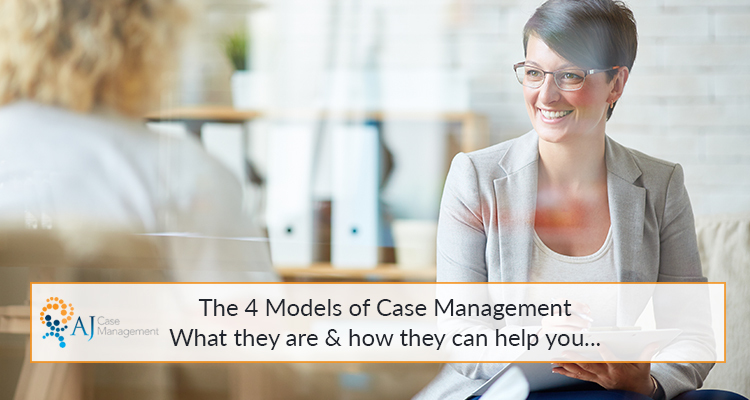 In this guide you will get a clear outline of the four case management models, as well as a case study example and their benefits and drawbacks. Case management models are plans with guidelines and procedures that case managers follow to deliver a specific type of care. They are useful to gain experience in the industry and can give professionals direction in the delivery of their services. As professionals in this industry offer such a wide variety of services, they can be used by those with little or plenty of experience to make sure they are delivering the best care possible. This is perhaps the most brief model and contains the least guidelines/ direction. The main focus of this model is on the assessment and delegation of services for the client. The case manager does not get as involved as they would following other models, as their time is spent mostly organising the care and ensuring everything runs smoothly. When following this model, the professional will identify the needs of the client and provide access to the resources they need for rehabilitation. Social Solutions tells us that responsibility can be given to the client in terms of how and when they use the resources available to them once the case manager has introduced them to the services. Paul was an avid rock climber and enjoyed his yearly camping trip with his fellow rock climbing friends. In 2009 he unfortunately grabbed a loose rock whilst climbing a steep rock face in Cornwall. His broken collar bone and leg healed, but his brain injury required more in depth care. Once him and his family realised the extent of his brain injury, they found a case manager to help with rehabilitation. Once thoroughly assessed and analysed, his case manager used the brokerage model to assign Paul to the professional services he required for his care plan. They assigned him a neuropsychologist to further analyse his brain injury and provide recommendations to regain control of his cognitive function, a counsellor to help him deal with PTSD symptoms and a physiotherapist to support his broken leg injury. The case manager ensured the plan ran smoothly as well as making sure Paul was happy and motivated throughout. The purpose of intensive case management is to deliver high quality services in a short amount of time. The name is an indication as to what practices it involves, as it is a much more intense way of delivering the services. The client receives a lot more individual attention from the case managers, which differentiates this model from the brokerage. Natalie, 16, suffered a knee injury last year in her dancing practice. Her concern at the time was the biggest dance competition of the year which was just a few months away. Once the injury had been identified as ligament injury, she was appointed a case manager to help her find the best therapy for her rehabilitation. Intensive case management was used to deliver the most time efficient service, as this was Natalie’s main goal. She was supported through physiotherapy and her case manager attended appointments with her as well as regular check ups to ensure she was on track with recovery. This model helped her achieve the speedy recovery she was hoping for and her team came first in the annual dance competition! This model focuses on the combination of services to deliver a tailored care plan. It combines resource acquisition (case management) and clinical (therapy) activities Grace College tells us. The case manager has a lot more responsibility when following this model as they provide a wider variety of services than they might in other models. To give you an example, the case manager could coordinate the client’s psychotherapist, physiotherapist and counsellor, depending on what services the client requires. Rather than referring the clients to other professionals are solely focusing on the execution of the care plan, like the Brokerage model, professionals are much more hands on in this role. Following a motorcycle accident, Ben sustained a traumatic brain injury, as well as physical injuries such as a broken leg and wrist. His life was completely turned upside down, and it was all too much for him to handle by himself. His family knew a case manager was the best option to take away the stress and ensure rehabilitation ran smoothly. This allowed the case manager to carefully track Ben’s progress and guide him to a healthy recovery. As the name indicates, this model is based on the strengths of the client. The strengths are analysed by the case manager and used to tailor the care plan so that a higher quality service can be delivered. This model doesn’t just take into account the client’s goals and personal needs. It is the professionals job to successfully identify their strengths and incorporate them into every step of rehabilitation. It allows the client to integrate their own resources and skills into the professional services they are utilising. This model works to eradicate the ‘one size fits all’ thought process and delivers personalised care that is perfectly tailored to each client. It also takes into account the client’s family, friends, community, home environment and other resources they have access to. Kate has a passion for writing, gardening and baking. She loves to spend the weekend writing down her creative ideas and doing a spot of planting whilst a Victoria sponge is baking in the oven. After sustaining a traumatic brain injury from a road traffic accident in 2012, she feared that she wouldn’t be able to continue enjoying her hobbies. The strengths-based model worked wonderfully for Kate, as she learnt to regain her motor hand writing skills through her passion and talent for creative writing. She also regained valuable planning and concentration skills through her love for baking which she had plenty of patience for. These exercises were much more motivating for Kate as she was genuinely enthusiastic about the tasks, which spurred on her eagerness to progress through rehabilitation. There isn’t one care plan that works for different clients, which is why we always tailor rehabilitation plans to perfectly suit every person. Each person is unique and so is their injury, and it is important to understand this throughout recovery. At AJCM we use various models and techniques from our wealth of knowledge and experience to deliver exactly what is needed. We are here to support you through rehabilitation, so get in contact today if you’d like professional advice from a case manager.